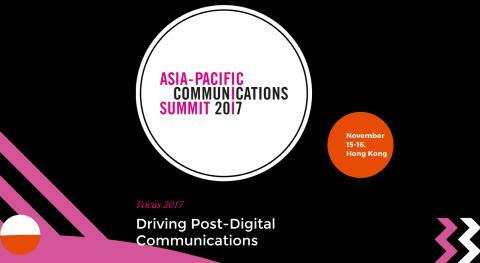 The APCS is your one stop shop for learning about the focus and direction in which the communication sector is moving and to engage with key stakeholder groups across the region. What I like most about this event is that it is peer driven. No sales pitches from vendors, no esoteric segments. The discussion is very practical, because they relate directly to the experience of the marketers themselves. As the conference anchor at last year's event, it felt like more of a business conversation taking place simultaneously among the several hundred delegates, than a large faceless conference of anonymous delegates. I look forward to seeing old friends again at this year's event.